How to Become a Successful Forex Trader in 5 Steps | Read here! Like with anything in life, becoming a master at something does not happen with one try. The violin maestro did not wake up one morning, suddenly blessed with his skills. The olympic gold medalist had to train very hard to win that gold medal. The forex master trader, had many losing trades before learning how to navigate the market. They all were beginners at one point in their lives. There is admittedly a large gap between beginner and mastery levels. Some people spend years of their lives practicing only to never become a true master of their craft. And many people, if not most of them, never become a master at the things they want to do because when faced with the first signs of challenges, they quit. When you compare these people to the ones that gain mastery, there is one noticeable difference between them. People who become masters, have a passion for what they do. Because they are driven by that love for what they do, any challenges or failures that they face, they take them as lessons from which to learn and grow. So, they become better and better with time. The same goes with trading. You can only become a successful forex trader, if you dedicate yourself to learning how to trade in the best way. Coupled with the proper knowledge, the right attitude and the right amount of discipline, it will help you to bridge the gap between the beginner Forex trader and the professional, so that everyone who wishes to, may know how to become a successful trader in the forex market. 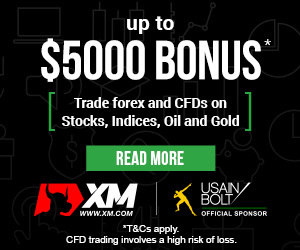 So for those who are interested in moving past the beginner stages to become professional, the main question remains, “how do you become a forex trader?” If you know that you are eager to learn, and that you have the discipline to stick with it when the challenges come along, then you are ready to take the first step forward. For those of you who are at the very beginning in your journey of how to become a currency trader, the vast amount of information that you can find on the internet on forex trading can make things confusing. You may end up getting overwhelmed quite quickly, and quitting something that you could be truly great at. Typing in searches like “how to become a successful forex trader” or “how to become a professional forex trader” can yield a variety of results that all give you different answers. This is bound to discourage anyone. In an effort to prevent this we have lined out a brief guideline for beginners to follow, so that each of them can learn how to become a successful forex trader. Now, there is no way in the world that you’ll figure out the more complex trading strategies, if you don’t even know the basics, no matter how eager you are. The first step that any beginner must take to know how to become a fx trader is to figure out the basics. The basics include learning what the currency terms mean. Terms like leverage, base currency, major and minor currency pairs and bid and ask price are just some of the ones that you need to be aware of. You will also need to understand the basic ways in which foreign exchange works. Understanding things like volatility, supply and demand, and bullish and bearish trends are essential to setting the right foundation. You will need to be aware of the market opening and closing times, and the significance of hours in which two currency markets are opened at the same time. The second step in learning how to become a good forex trader is to become familiar with the tools that you will be using for trading. This involves downloading MT4 (MetaTrader 4) and becoming familiar with the price charts, and the various settings. (It would be helpful to watch youtube videos that deal with this topic). One major thing that you will be focusing on, is the time frames, and their respective charts. Since you would be aware of how the market works, the bullish and bearish trends, and the major and minor currency pairs, then it would be solidifying that knowledge, by being able to see price reaction in each environment. After this, the next focus would be learning the basic forex strategies out there, on the different time frames. Basic strategies include the 20 SMA and EMA strategy, the moving average crossover strategy. You will also need to learn how to use support and resistance in your trading. And most of all, how to accurately identify support and resistance levels. Another essential thing to do at this time is to also familiarize yourself with the various indicators. This includes trend indicators like moving averages, and bollinger bands, and also oscillators like the Stochastic indicator, Relative strength index (RSI) and MACD. You will also need to learn how to tell the difference between a market that is trending or ranging, and also to know how to identify each of the two trends. You will also need to learn which of the basic strategies work best in which type of market. Once you feel fairly confident that you have successfully completed all these tasks sufficiently, then it is time to move on to perhaps the longest step, step three. Open a demo account, if you have not already done so during the previous step. The demo account will be your playground, where you will be able to practice trading with virtual money, until you get the hang of trading. The aim of the demo account is to provide the most realistic environment for trading, without the risk of trading real money while you are still learning. Next, you will be practicing all that you learned in the previous step. This means that you will be practicing all the basic forex strategies that you had learned, and their respective indicators. Practice each strategy until you are comfortable using it, and are no longer making errors when executing the trades. Practice across the range of timeframes, and choose the one that you are most comfortable with (This will help you to know if you are a long term or short term trader). Compare the strategies that you have practiced, and choose the one that you are both comfortable with and has provided the most profit. Secondly, we have to learn to use this approach to lessen our risk. This is why we have a risk:reward ratio. This is why most professional traders only take trades that have a high ratio, of usually 3 or more, where the risk of their trade is 3 times less than the expected reward for the trade. The way that you keep risk down, is to adjust the position size of your trade. The key to doing that is to adjust your ‘lot size’ for each trade, and making sure that your stop loss is only a small percentage of your overall account. This coupled with a high risk:reward ratio, will ensure that you have a low chance of hurting your account with one losing trade. It will also help to ensure that you make a profit at the end of the period, even if you lose half the trades that you make. Now, many people find this step especially difficult, because it requires a lot of psychological strength. It requires the trader to be disciplined to the strategy, to stick to the money management rules that he has set to protect your account, and to refrain from engaging in negative emotions like fear and greed that will sabotage his trading. Once you have covered this part, then the next thing that you have to do is to find consistency in your profit making. Usually it is recommended that you be profitable for at least 6 months, while trading the demo account, before you are able to move on to the next step. (Some people do not follow this advice and find success, others do not, and regret it. The choice is up to you. This is simply a recommendation.) Those who do follow this step will be certain that they are ready to trade real money when the time comes. Step Five – Trade Your Live Account! Now is the step that we have always been waiting for. You wanted to know how to become a forex trader, well, this is what forex traders do. They trade real money, either for themselves or for somebody else. The last step in the journey to become a forex trader is to open your live account with real funds, and to trade this. There is also caution to this step however. Like all the other steps, it is easy to mess up. Many traders go through all the former steps to only mess up on this last step, because they allow emotions to cloud their judgement because they are now trading real money. This is a natural human reaction, so we have to find ways in order to lessen the risk of emotions like greed and fear clouding our judgement when we are trading. The number one way to do this is to use money that you will not miss to fund your account. Never use money that you will need. It will cause you to disregard all the trading rules that you have set for yourself, and this will only cause you to lose your money. Invest money that you do not need for any other activity. 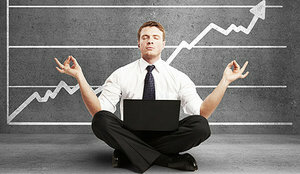 This way you can focus on taking the best trades, and growing your money at a steady pace.